Brad Pitt has a thing for assassin movies, especially ones where two assassins get married and then discover each other’s assassin secrets. 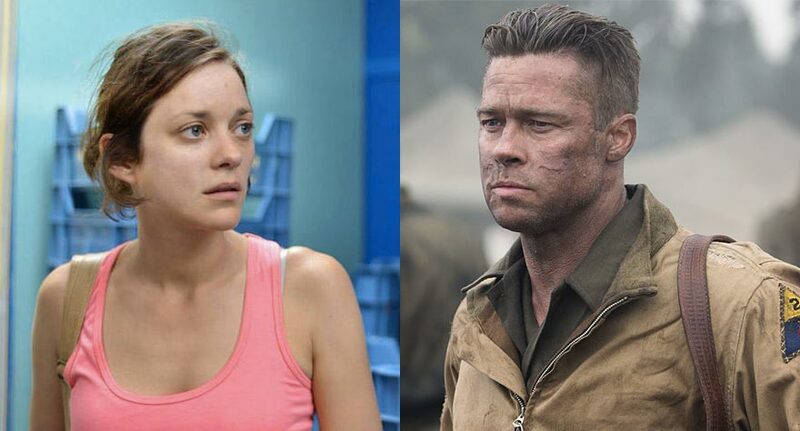 The Mr. & Mrs. Smith star is slated to lead Robert Zemeckis‘ upcoming and untitled WWII drama. Recently signed up to join him is French Oscar winner Marion Cotillard. Cotillard is hot off last year’s Two Nights, One Day and this year’s raves at Cannes for Macbeth. And while Pitt hasn’t knocked it out of the park recently, he has continued to turn out solid performances in lesser films (The Counselor, Fury). The details so far, according to THR, look to have Pitt star as a French-Canadian assassin who meets and falls for Cotillard’s German assassin in WWII Casablanca. It’s only when the two get married that their secret lives are revealed and Pitt must take out his new bride. As for Zemeckis, he’s had some ups and he’s had some downs, and while many like to point to his failures (The Polar Express, Beowulf) we can’t help but love him for his highs, because boy are they high (the classics Back To the Future and Forrest Gump and the very-good-but-not-quite-classics Cast Away and Flight, among many others). But through it all he has been a director shamelessly interested in playing with the tools of the trade. This year’s upcoming The Walk is no exception, with the Joseph Gordon-Levitt starring film looking to be a stomach turning 3D spectacle. At this rate as things keep unfolding Zemeckis’ project is shaping up to be something special; Pitt and Cotillard are rarely bad (if ever) and Zemeckis, when good, can be film-classic good. So, for the time being we’re keeping our fingers crossed for this one as we queue up for The Walk on October 2nd. David Lynch's version of 'The Shining' is just a lot more blue and a lot more confusing.